I'm trying to collect data on two sensors simultanously. I particularly want euler angles. However after i finish configuring , the data is only collected on a single sensor. 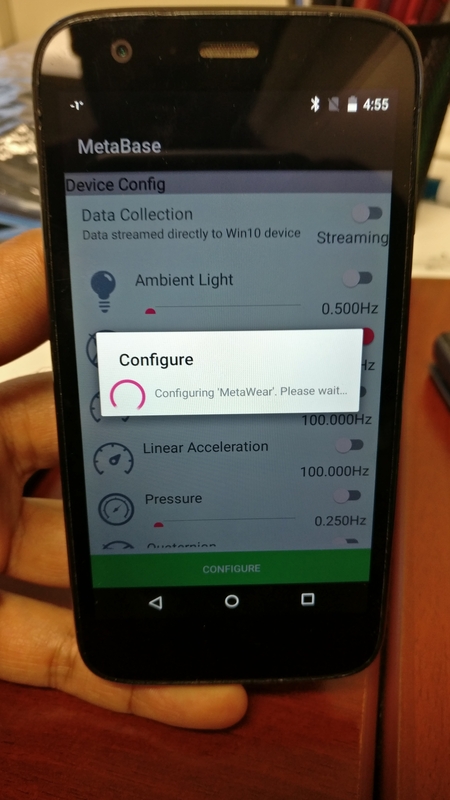 Both sensors blink after the configuration is finished. I'm trying to troubleshoot this problem but havnt been able to solve it. What does the exported data look like? Can you show us a screen shot of an export (via email if possible)? 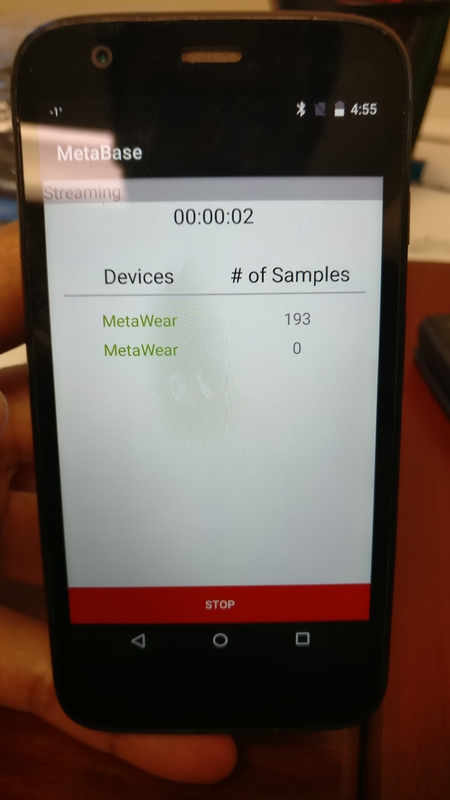 Can you stream data from each device individually? Can you stream from both devices if you stream at a lower frequencies? What are the the hardware, firmware, and model number of the boards? 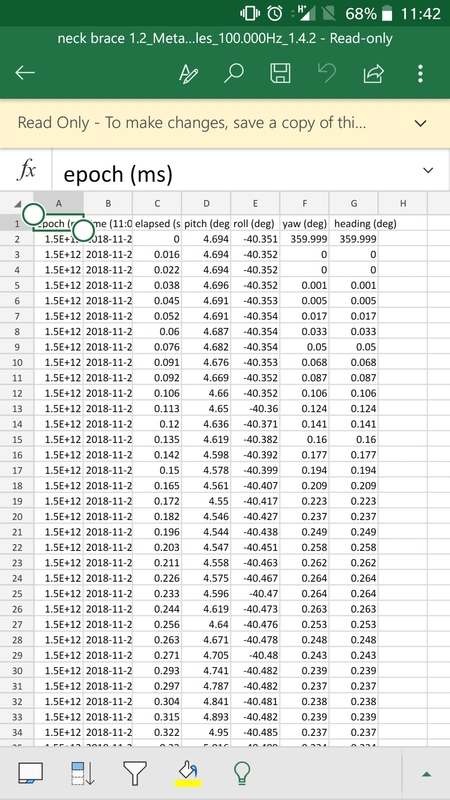 The exported data includes time , pitch , roll , yaw and heading data from both the sensors. so there are two excel files created . one for each sensor. However the rows for one the excel file is empty. 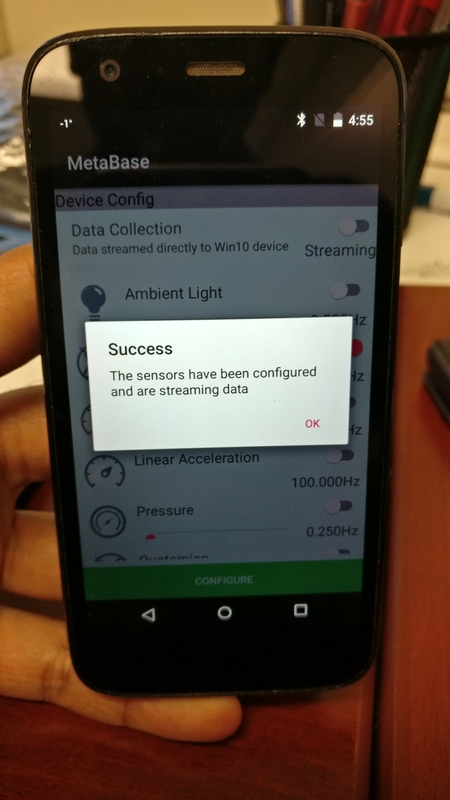 Yes I can stream data from both sensors individually. It works fine. 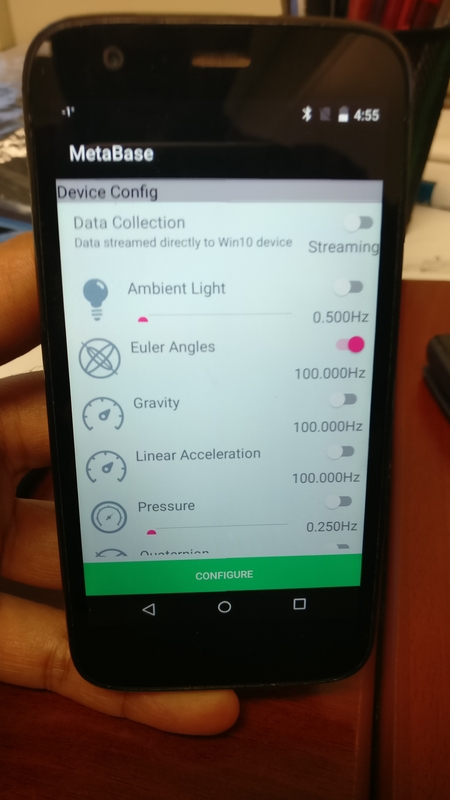 I cannot stream data information related to Euler angles below 100Hz , its like the default frequency. 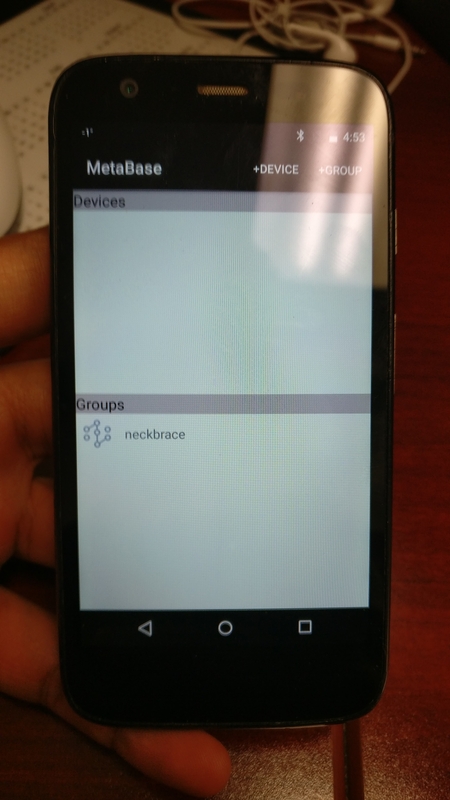 Test with a data source that has configurable frequency, like accelerometer. Due to how data is arranged, you'll want to combine it with gyro data to get the transmission frequency as close to 100hz as you can. acc @ 200h, gyro @ 100hz. What Android device and OS are you using? It could be that your device doesn't play nicely with multiple connections. It could also be an issue with the way the file is exported from the App. Next time can you please export via text message or Dropbox (anything other than what you have been doing - most likely email). I would like to rule out a possible export bug.